Every wedding, no matter what the theme, has some element of floral décor. Be it a Hindu, Christian, Muslim or any other kind of occasion, flowers are synonymous with all weddings. And rightfully so, because they make everything soo much prettier, don’t you think?! Well, a wedding is one such day in your life where it’s all about you and as much as leaving all the planning to your wedding decorator seems so easy and convenient, wouldn’t it be great to have personal favourites and custom touches to your wedding décor? A lot of us love looking at flowers but that doesn’t mean we know all about which are the best ones! 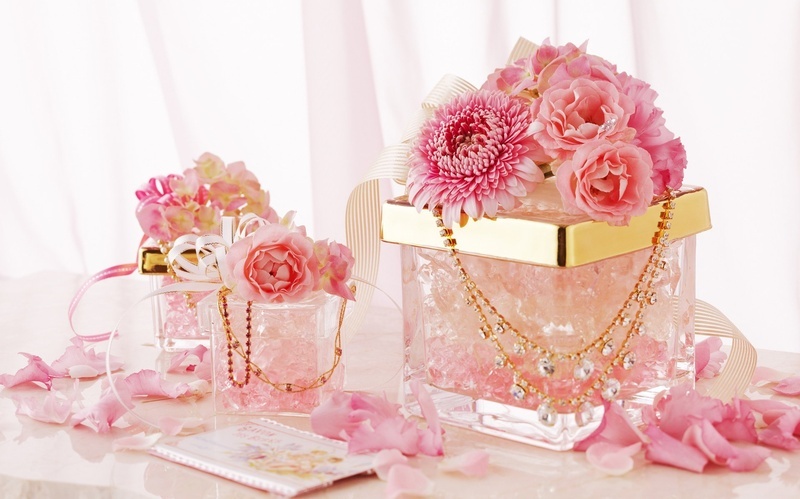 You want to make sure that you pick the perfect pretty blossoms to adorn your wedding venue. Those beautiful memories are going to last a lifetime! So to help you out with the floral wedding hustle at your big day, we have a list of our top 10 picks of wedding flowers available in India that we think will look more than beautiful in your wedding décor. Also, check out these visuals for some great inspo on floral wedding décor ideas. This one obviously tops the list because what better to symbolise love and beauty! The flower has remained a timeless and classic metaphor for everything related to love, passion and romance since just about forever. What’s more is you can find them in so many different colours. And if your favourite colour is not on that list, you can always dip dye a white rose in any shade. Commonly known as Genda in our country, every Indian would be familiar with these orange-yellow floral wedding decorations! Though they are the standard flowers for Indian wedding décor, I guess they never get old. Perfect way to add warm and vibrant hues to your Indian floral wedding décor. Check out these creative ways to add marigolds to you wedding décor. These flowers symbolise beauty, refinement, luxury and hence, make a great way to decorate a start to a new life! They are most commonly found in pink and purple shades that offer a pretty, pastel vibe to your wedding. But they have 20,000 various types so you also have a very wide list of options to pick from! They are exotic in nature and suitable for outdoor weddings. Click here for all you need to know about orchids for wedding décor! These flowers stand for everlasting love, pureness and innocence. So another great option for the “perfect Indian bahu” lol. They form small white clusters and deliver a beautiful and delicate look to your floral wedding décor. Bunch them together in aesthetic ways for a fairytale touch! These flowers a perfect for a cheery, summer/spring wedding. The cup-shaped floral beauties are available in many colours that give your wedding decor a vibrant touch. What we love about tulips is that they are not too elegant, too drab, too small, too big, too bright or too dull! They are juuust right for any kind of wedding. Red tulips are for love, purple for royalty and yellow for happiness. These flowers are known to have intense shades of blue, burgundy and purple, representing vanity. But they are also known to represent gratefulness from the giver for the receiver’s understanding. They can also be found in shades of white and green. The clustered, bushy bunches make for good floral wedding décor. These flowers are look like just another word for happy! What more do you want to be on your wedding, right? But these flowers also symbolise adoration, loyalty and longevity which make them just about perfect for wedding décor. The happy yellow tones definitely make the ambience all the more cheery! White lily’s stand for chastity, innocence, purity and piety; (great reason to use these and make the mom-in-law proud.) But when we come down to the functional facts, they have a sweet, fresh perfume that would contribute to the aura of the wedding. Calla lilies come in various colours and can be used as statement centrepieces for floral wedding décor. Calla lilies also symbolise magnificent beauty. Peonies are known as the flowers of riches and honour. They have a large, vibrant head and a strong perfume. Their lush, full rounded bloom signifies romance and prosperity. They are also considered an omen of good fortune and a happy marriage. Great! Now run to the store and pick some of these up. We Indians know this as Champa. It stands for intense love and a lasting bond between two people. They are dual-coloured and using this flower in your wedding décor offers a pleasant mood. Check out these floral wedding designs that double-up as rangoli!